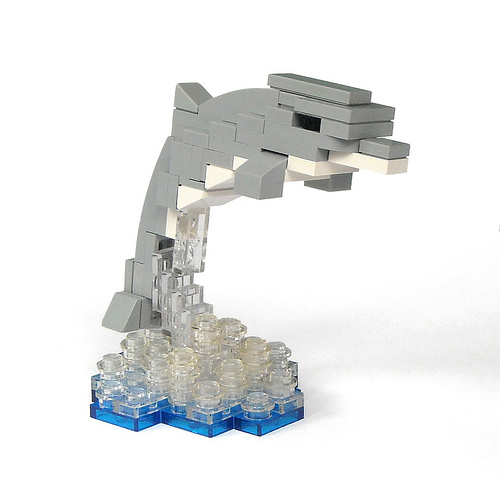 Sometimes it’s not the biggest models that make a splash, as Michael Jasper proves with this stunning dolphin sculpture. And, no, I don’t think Michael intended a Hitchhiker’s Guide reference, but that’s what I think of every time I see dolphins. Ooh, I want one! Very nicely done on a small scale.